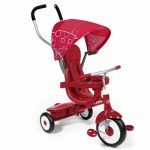 The 4-in- 1 Trike is the ultimate Grow-with- Me Trike. 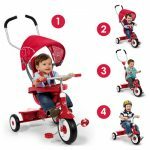 It offers 4 ways to ride, to accommodate ages 9 months to 5 years: it easily converts from a stroller to a steering trike, learning-to- ride-trike, and finally a classic trike. 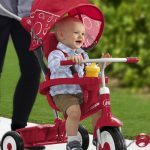 The 4-in- 1 Trike features safety features for the youngest riders, including removable wrap around safety bars with cupholder and snack tray, and a 3-point harness. 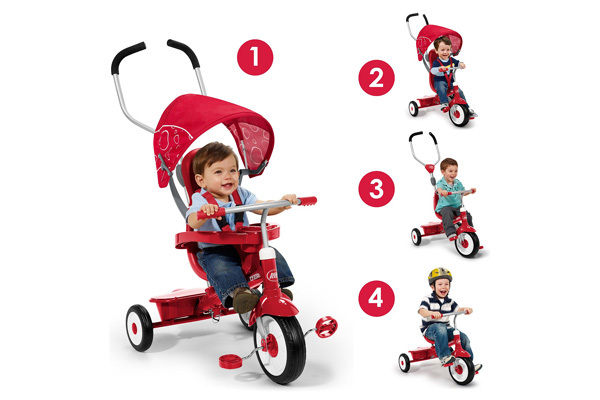 The trike has quiet ride tires when pedaling. 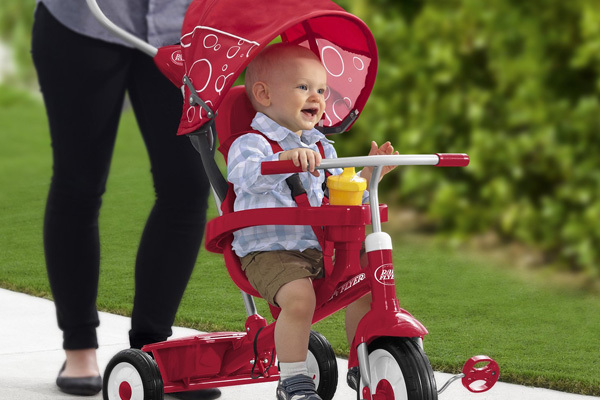 The height-adjustable push-handle and unique stroller-style canopy remove for older riders. 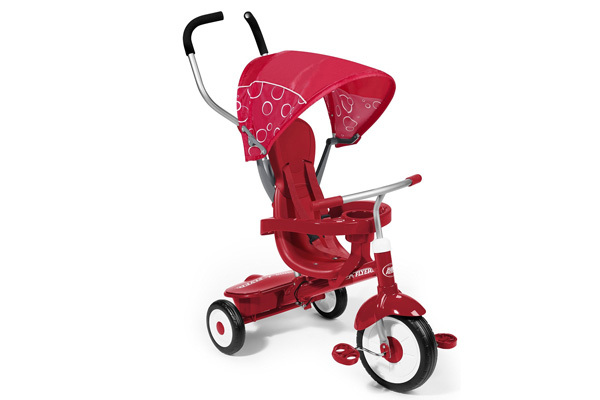 The sturdy steel frame and adjustable seat ensure it will last for years.